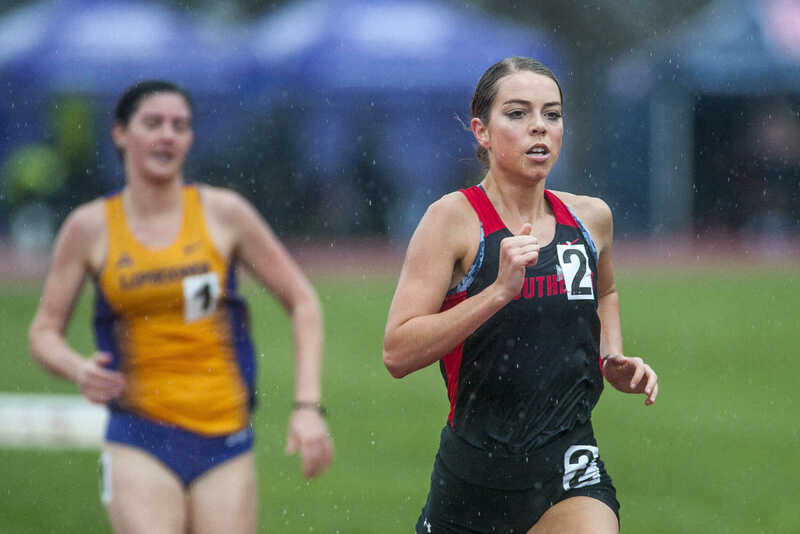 TYLER GRAEF Ð tgraef@semissourian.com Southeast Missouri State University's Kaitlyn Shea, right, pulls ahead in the steeplechase, which she would later win, during a track meet Thursday, Oct. 18, 2018, at the Abe Stuber track and field complex in Cape Girardeau. 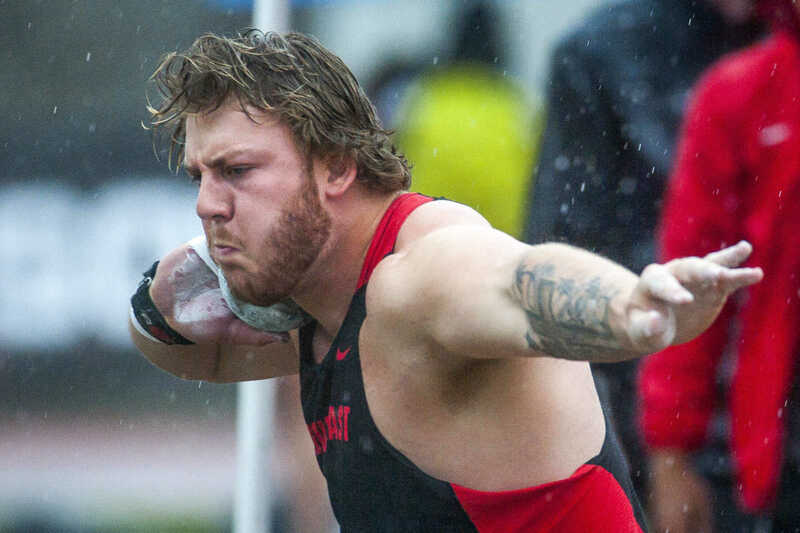 TYLER GRAEF Ð tgraef@semissourian.com Southeast Missouri State Univeristy's Logan Blomquist competes in the shot put during a track meet Thursday, Oct. 18, 2018, at the Abe Stuber track and field complex in Cape Girardeau. 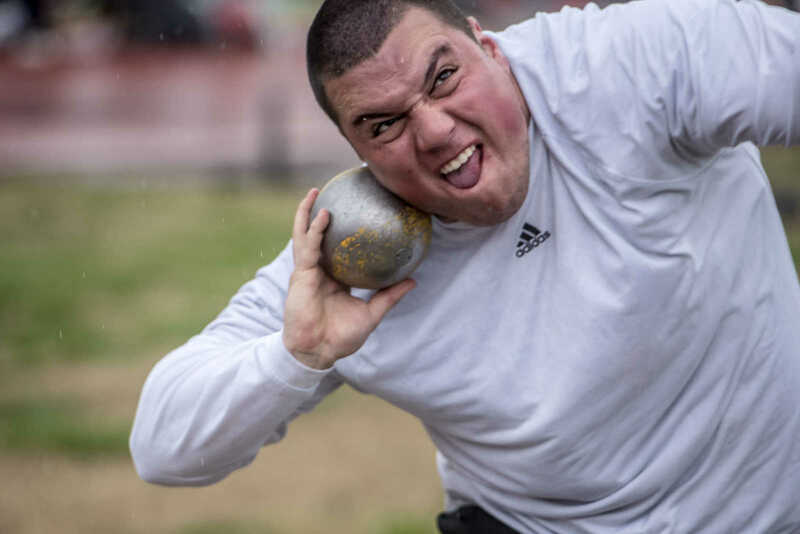 TYLER GRAEF Ð tgraef@semissourian.com An athlete prepares to compete in the shot put during a track meet Saturday, March 30, 2019, at the Abe Stuber track and field complex in Cape Girardeau. 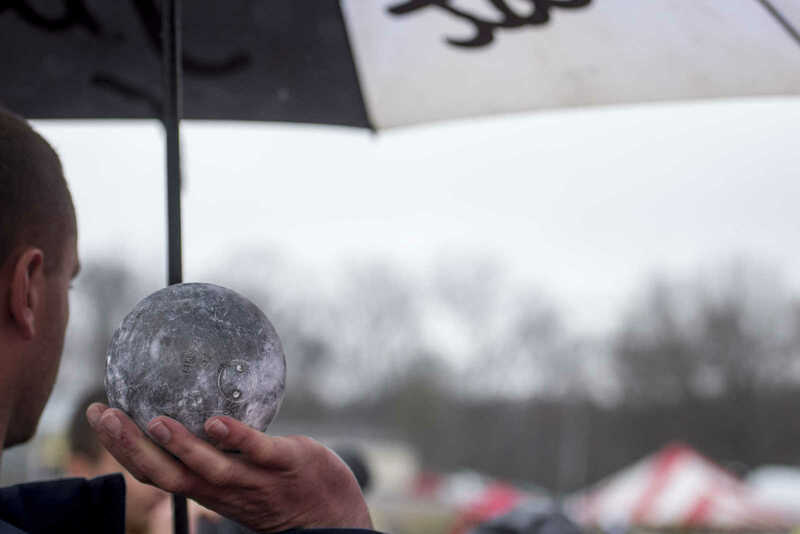 TYLER GRAEF Ð tgraef@semissourian.com A member of the Belmont coaching staff holds a chalked shot under an umbrella to keep it dry during a track meet Saturday, March 30, 2019, at the Abe Stuber track and field complex in Cape Girardeau. 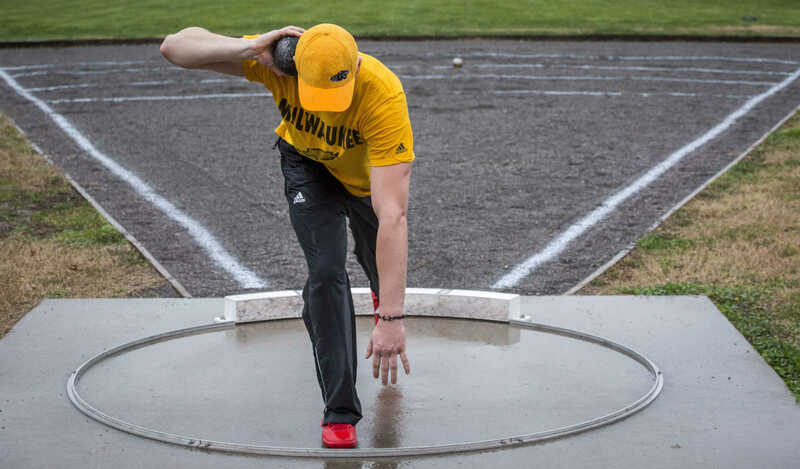 TYLER GRAEF Ð tgraef@semissourian.com Western Illinois University's Daniel Campagna competes in the shot put during a track meet Saturday, March 30, 2019, at the Abe Stuber track and field complex in Cape Girardeau. 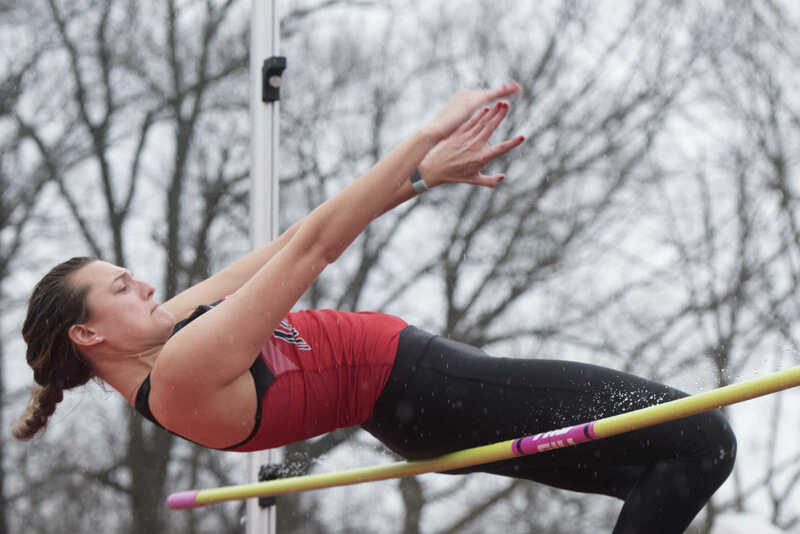 TYLER GRAEF Ð tgraef@semissourian.com A high-jumper competes during a track meet Saturday, March 30, 2019, at the Abe Stuber track and field complex in Cape Girardeau. 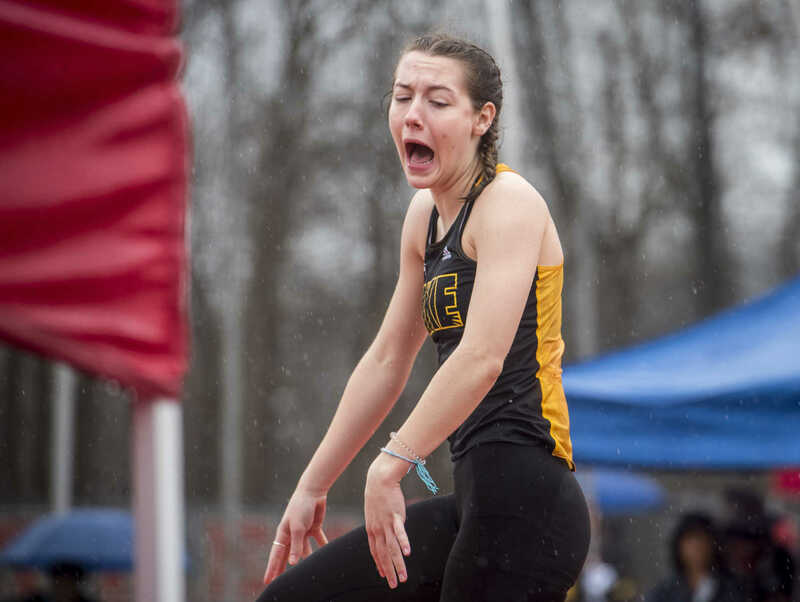 TYLER GRAEF Ð tgraef@semissourian.com A high-jumper recoils while getting off the mat after landing in a pool of cold rainwater on the landing mat during a track meet Saturday, March 30, 2019, at the Abe Stuber track and field complex in Cape Girardeau. 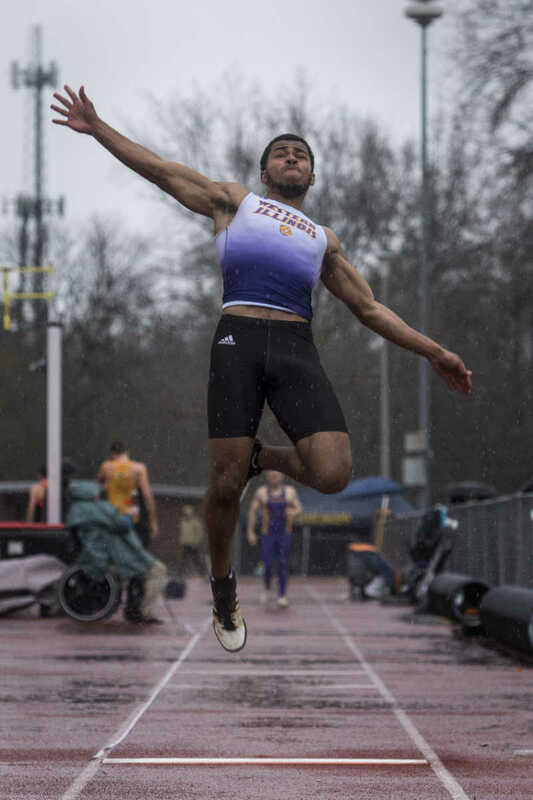 TYLER GRAEF Ð tgraef@semissourian.com Western Illinois University's Gabe Cheeks competes in the long jump during a track meet Saturday, March 30, 2019, at the Abe Stuber track and field complex in Cape Girardeau. 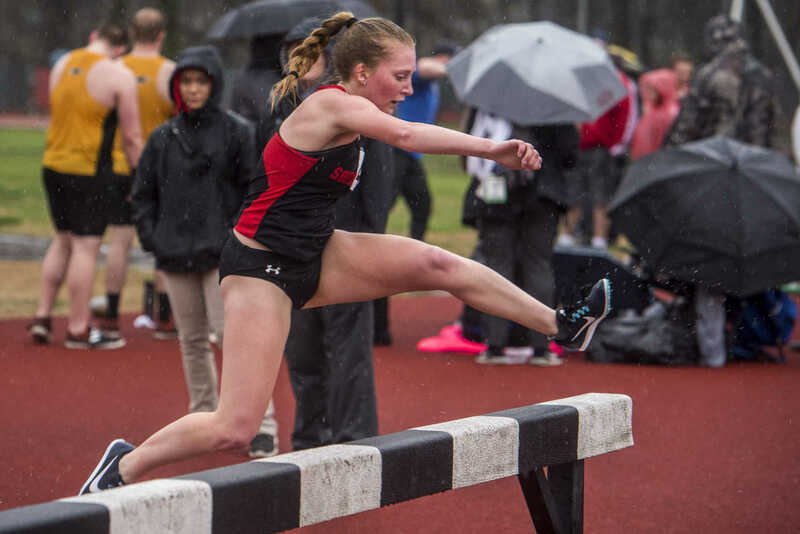 TYLER GRAEF Ð tgraef@semissourian.com Southeast Missouri State University's Adrienne Brauer competes in the steeplechase during a track meet Saturday, March 30, 2019, at the Abe Stuber track and field complex in Cape Girardeau. 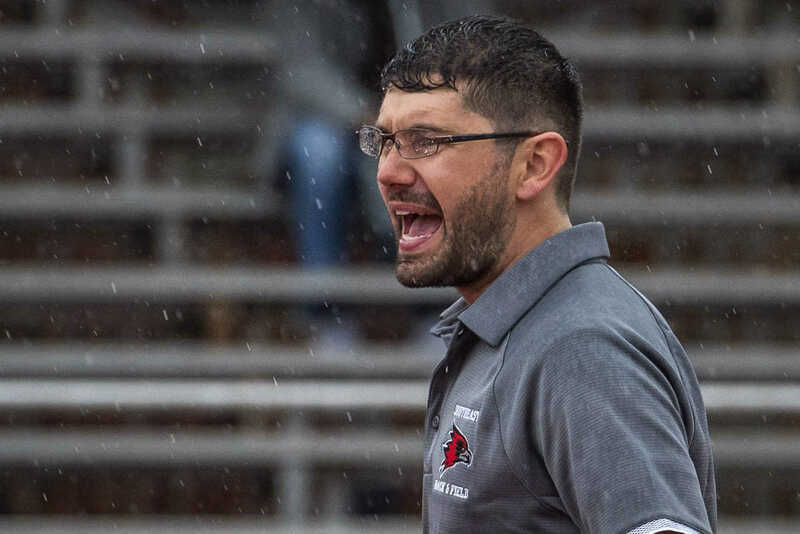 TYLER GRAEF Ð tgraef@semissourian.com Southeast Missouri State University assistant coach Ryan Lane yells to his runners during a track meet Saturday, March 30, 2019, at the Abe Stuber track and field complex in Cape Girardeau. 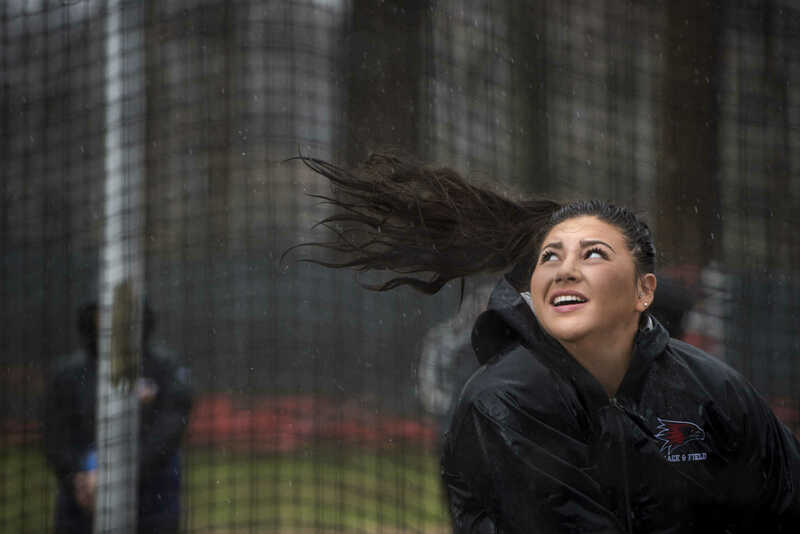 TYLER GRAEF Ð tgraef@semissourian.com Southeast Missouri State University's Nicole Humphreys throws a discus during a track meet Saturday, March 30, 2019, at the Abe Stuber track and field complex in Cape Girardeau. 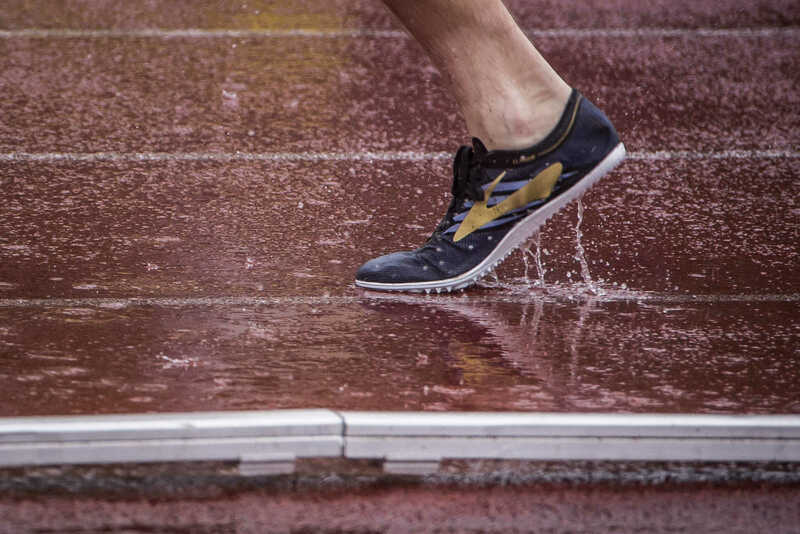 TYLER GRAEF Ð tgraef@semissourian.com An athlete splashes through a puddle on the track during a race during a track meet Saturday, March 30, 2019, at the Abe Stuber track and field complex in Cape Girardeau.